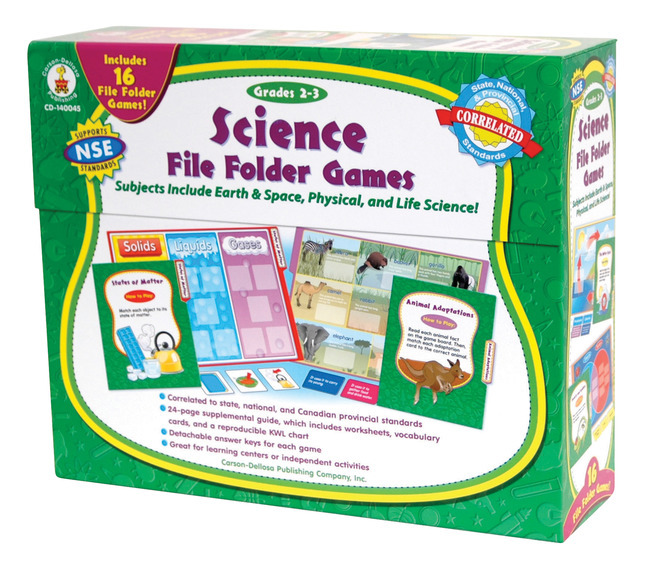 Carson-Dellosa Science File Folder Game for 2 - 3 grades is a perfect color-coded set for learning centers or independent study. 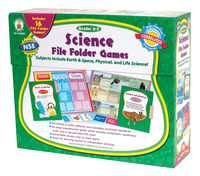 Game includes 16 games that encompass earth and space, physical and life sciences. Game also has an answer key for each game and a 24-page resource guide which contains worksheets, vocabulary cards along with a reproducible KWL chart. All the teacher needs to do is cut out and laminate the game pieces. Game comes in a magnetic closure box providing a great place to store the games when not in use.